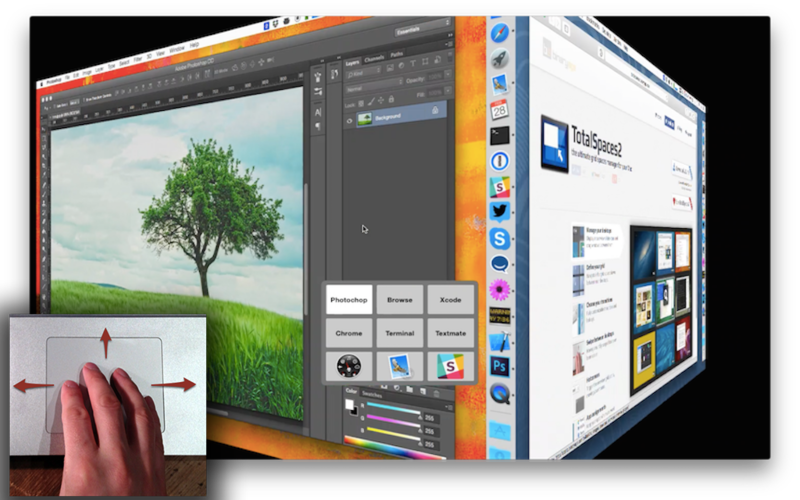 TotalSpaces brings grid spaces to your Mac and more! 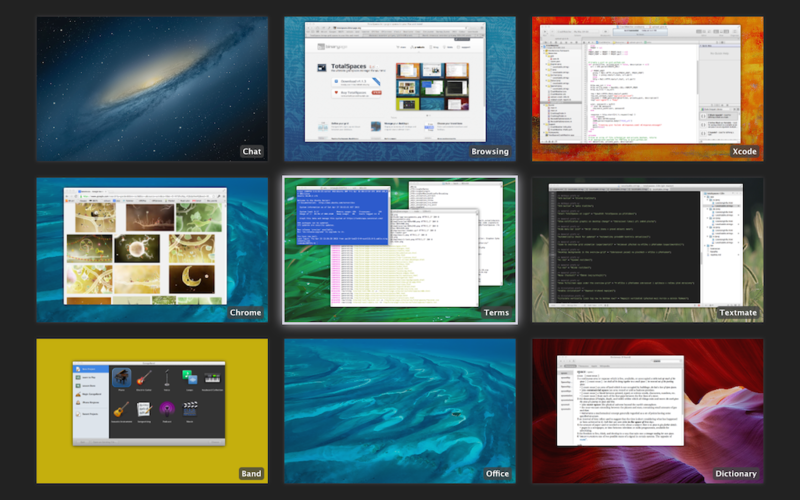 Display an overview of desktops and drag windows between them. 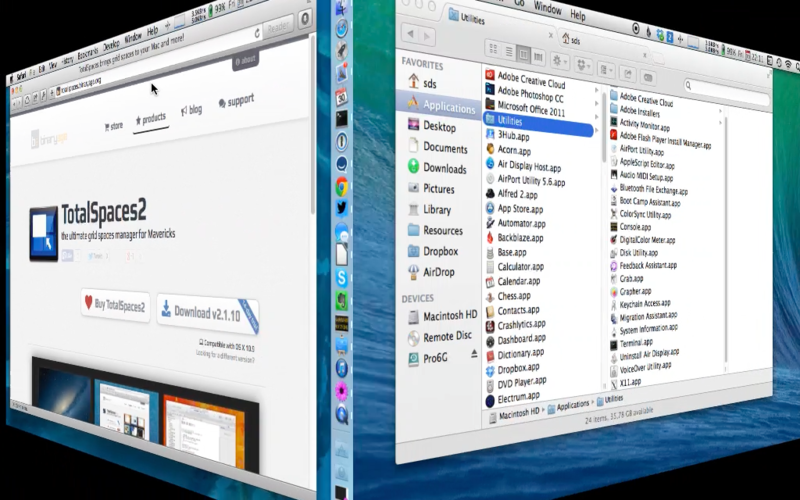 Navigate left, right, up and down between your desktops. Fully customizable transitions and hotkeys. 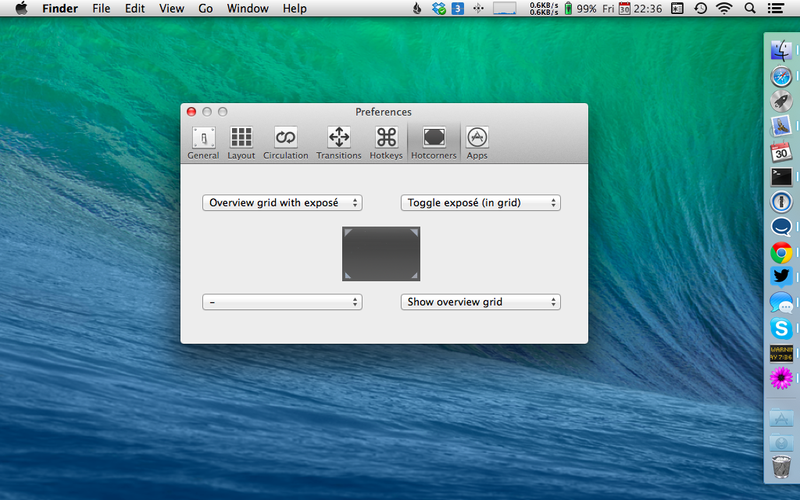 Moving around your grid has never been easier. 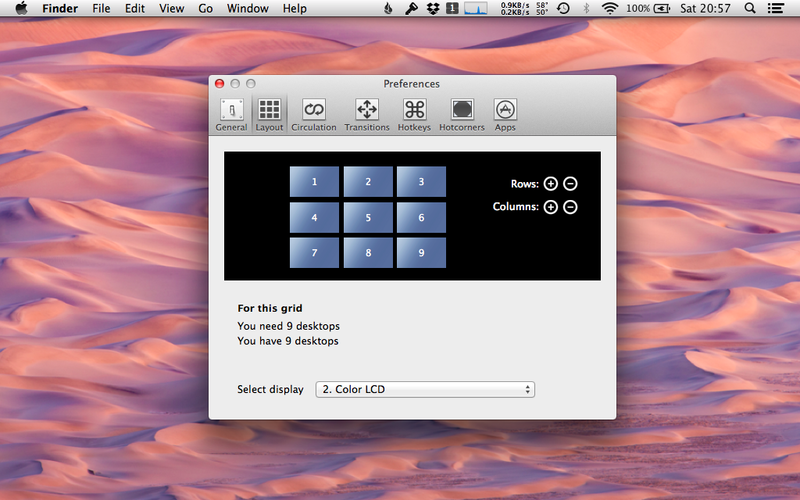 Trigger the overview grid just by moving your mouse. Keep your apps where you want them. 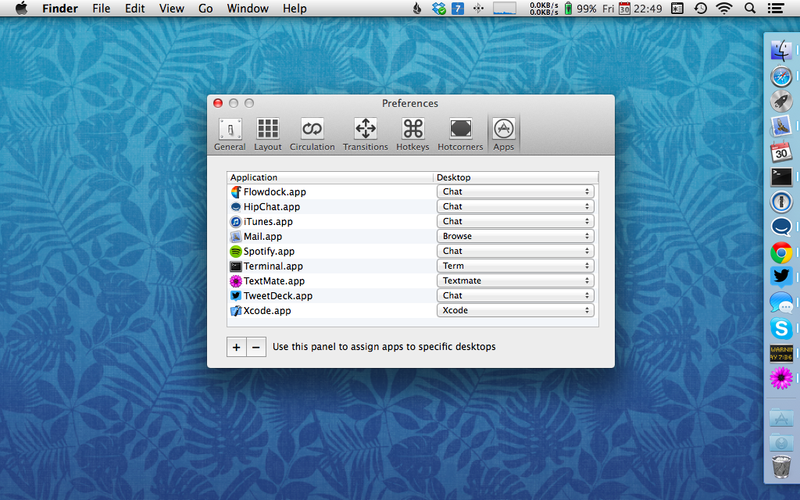 Assign apps to desktops.